DESPITE the results last weekend - a Storm loss and a win for the Rabbitohs, following three successive defeats - the bookies obviously cannot dismiss the irresistible form of the Storm at home, or in finals. This is the time of the year when Craig Bellamy and his men show the rugby league world why Melbourne is more than an AFL stronghold. And with a pantheon of key men returning, they probably deserve favouritism. 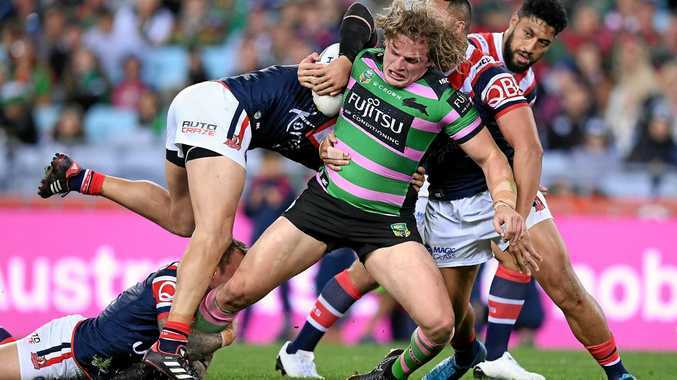 But the Rabbitohs, after missing some key men in recent weeks, are also back to full strength, and with the Burgess brothers, collectively, in arguably the best form of their careers, the battle in the middle will be enthralling. When it comes to using the ball, the Rabbitohs are the best in the NRL, leading areas such as points scored, tries scored, line breaks, total run metres and line-break assists. Conversely, the Storm are miserly in defence, conceding an average 15 points this season. The scene, quite obviously, is set for a thriller to open the finals series. LAST weekend's gutsy win by the Panthers - admittedly against a greatly understrength Storm - is the only reason anyone could seriously think they are a chance in this. For a team that held premiership favouritism before the Origin series, the deterioration at season's end has been alarming and it is difficult to imagine them suddenly find their mojo against a team that belted them 36-16 just two weeks ago. But the Warriors, who have not played finals since 2011, aren't exactly a reliable commodity either, although they hit the finals on the back of four impressive wins from five outings. 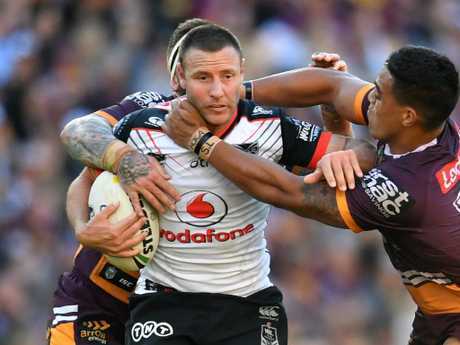 With the Panthers' Nathan Clearly struggling and James Maloney averaging seven missed tackles a game - and if the Warriors forwards can match it with the Panthers - the Kiwis, with Blake Green back, look far too classy and quick in the backs. FOUR times in his six years as Roosters coach, Trent Robinson's team has won the minor premiership, yet just the one grand final. 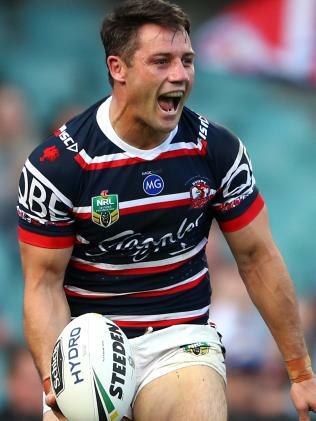 That is why, at the end of last season, they brought on board big-game guns Cooper Cronk and James Tedesco. 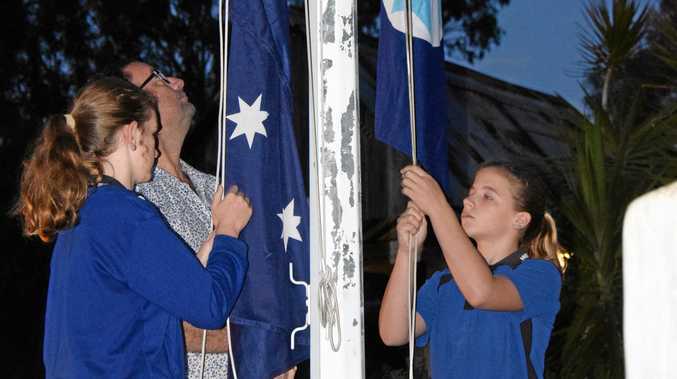 Now is the time for the fruit to be harvested but, despite being premiership favourites, the first step in that journey may be the toughest battle of all. The Sharks have been under the radar all season and come into this blockbuster at full strength and with all but one of their ruthless 2016 premiership-winning pack on deck. Add a brilliant Valentine Holmes into the mix and the Sharks have more than enough power and speed to match the high-flying Roosters. This could be brutal. IT MAY be hype from last Sunday's outstanding win or the two earlier successive victories over the Rabbitohs and Roosters, but for the Broncos to be the shortest-priced favourites going into the first weekend of the finals says much about the fragility of the teams still vying for the premiership. But with the Dragons having lost five of their past seven since the Origin series, it is understandable the Broncos, at home, are considered to be in better shape and better form. 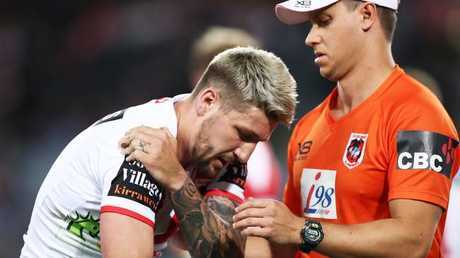 The return of Gareth Widdop is a huge plus for the Dragons, but the uncertainty over Jack de Belin and Euan Aitken is cause for concern. Once touted the best pack in the competition, the Dragons face a tough test against the Broncos, whose halves Milford and Nikorima are gelling at the right end of the season. If an almost full house at Suncorp creates anywhere near the atmosphere of last weekend, the Broncos will have a decided edge.